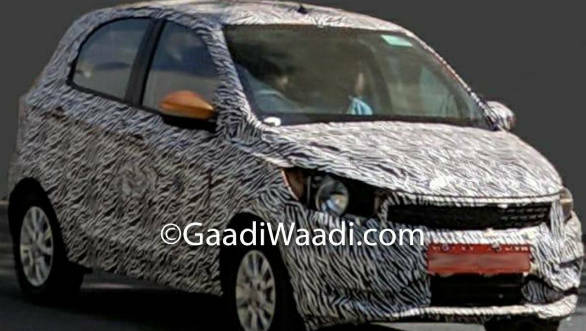 More spy images have emerged of the Tata Tigor facelift. These images show the new hatchback in profile and while there aren't many changes overall, most noticeable is the sharper front-end. The new front fascia looks to have a more pronounced grille and a humanity line above it. This is in line with the brand's Impact 2.0 design language as seen on the Harrier and the upcoming Altroz premium hatchback. Other changes will include a reprofiled head and tail lamps. Also new could be redesigned front and rear bumpers. 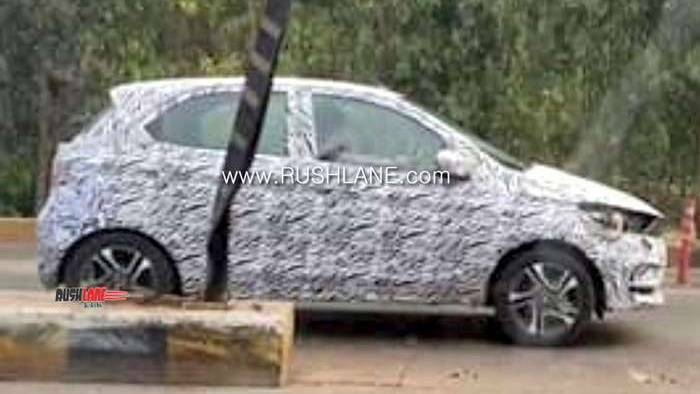 Tata Motors may also add strengthening to the Tiago's chassis and add more standard safety equipment like ABS and dual airbags. This will help it meet the new crash test norms for 2020. Also new could be a speed alert system and seatbelt alerts. While no pictures are available, there should be noticeable changes on the inside as well. There should be new additions like a new Harman-sourced infotainment and climate control. Mechnically, there should be no changes to the naturally aspirated 1.2-litre Revotron motor that puts out 85PS of power and 114Nm of torque, with a claimed mileage of 23.84kmpl. There are multi-drive modes - City and Eco. The 1,047cc turbocharged Revotorq diesel motor makes 70PS/140Nm and claims to deliver 27.28kmpl. Both the petrol and diesel engines are mated to a five-speed manual transmission. This motor could be reworked to meet BSVI norms or be culled from the line-up entirely, given the high costs that come with making these engines compatible. The Tiago's segment has seen a lot of action recently, with the launch of the new Hyundai Santro and the new, more upmarket Maruti Suzuki WagonR. This update will help the Tiago stay relevant to buyers in the face of these new challengers.